Type a keyword or two into the search bar on this page. If there is anything on our website pertaining to your topic, it will appear in the search results. Use quotation marks for very specific topics. 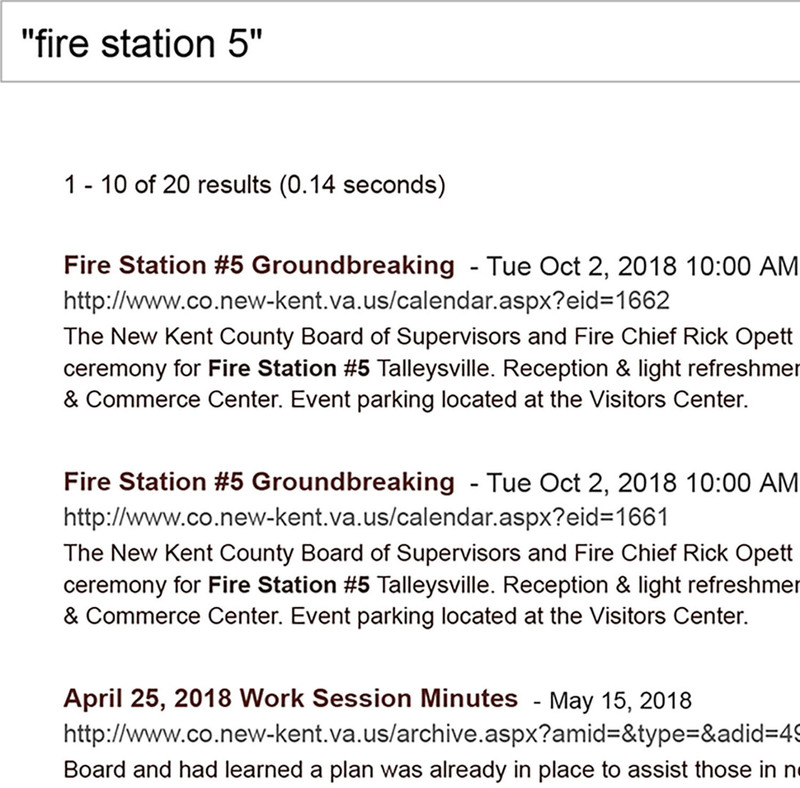 In the example to the right you will see what results appear after typing "fire station 5" into the search bar.